The Hawkes Bay Food and Wine Classic (F.A.W.C.) in the summer is supposed to be epic, but the winter edition is pretty awesome too! 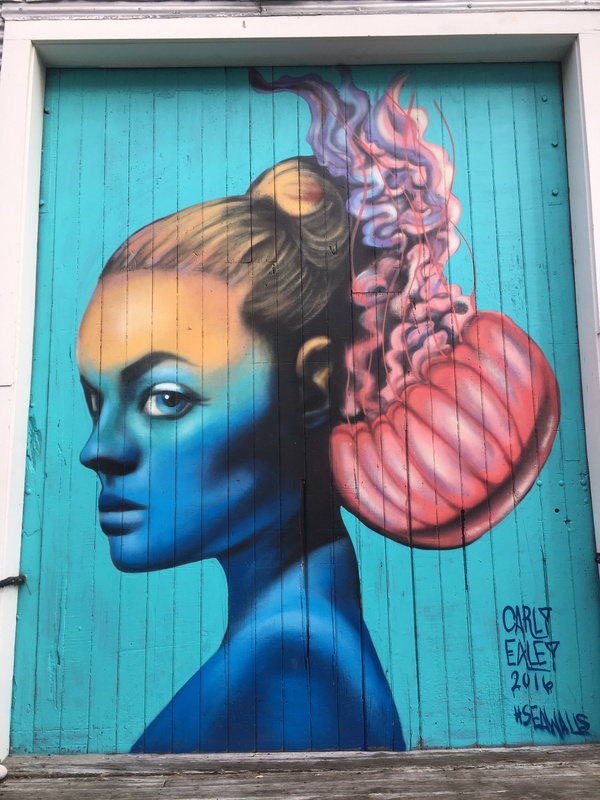 Some tickets sold out quickly and we missed our chance to go on a truffle hunt, but the three events we attended were worth the trip to the North Island’s east coast. 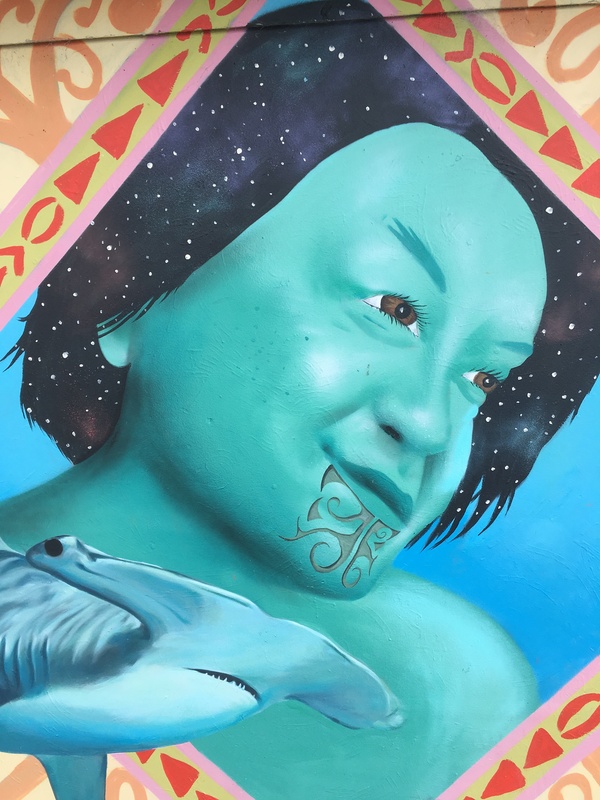 On Saturday afternoon we commenced a self-guided walking tour of the Sea Walls: Murals for Oceans, an exhibit of mural art throughout Napier and Ahuriri that ‘brings the message of ocean conservation into the streets.’ The paintings were beautiful and sobering. Hunger hit during our walk and we realised we were close to, toasted!, a F.A.W.C. event where six toasted sandwiches compete for the People’s Choice Award. 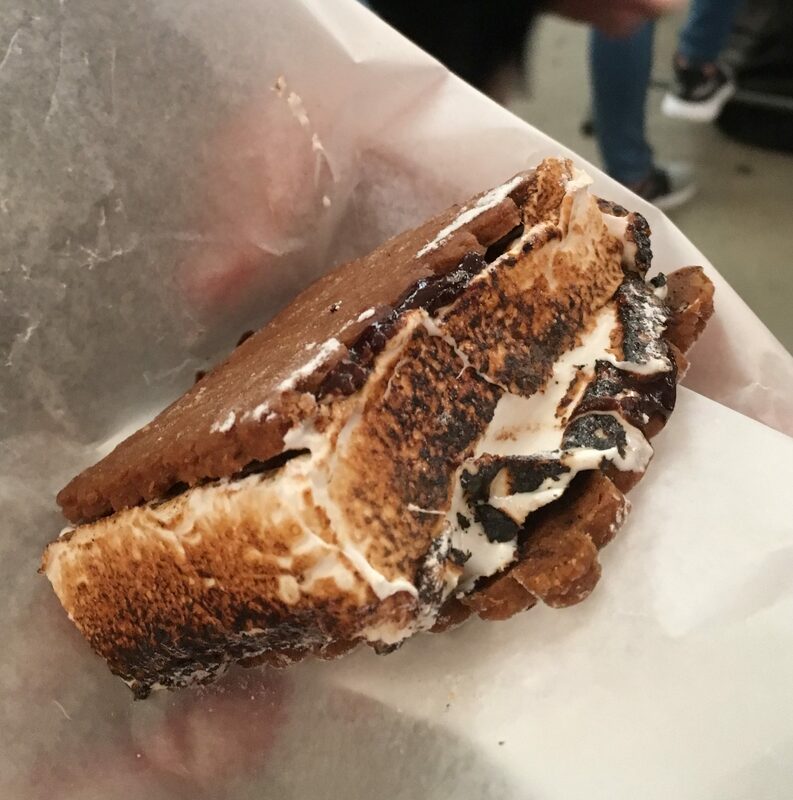 I voted for the Philly Cheesesteak, but the s’more sandwich was a close second. On Sunday we dodged raindrops with a trip to the farmer’s market and Trinity Hill vineyard. We arrived at the airport ahead of scheduled and were lucky to catch an earlier flight back to Auckland. Weather: 40-50s; no rain on Saturday; constant drizzle on Sunday. We were lucky to be moved to an earlier return flight because weather and winds were predicted to reach gale force.